Tingling and burning in the mouth after eating is most likely related to a food allergy. A food allergy occurs whenever someone's immune system mistakes certain food proteins as harmful substances, according to the American Academy of Allergy, Asthma and Immunology. Mouth tingling is a common sensation felt by people with a nut or shellfish allergy and may be accompanied by swelling in the lips, throat or tongue. An allergist is the most qualified medical professional that can diagnose a food allergy. 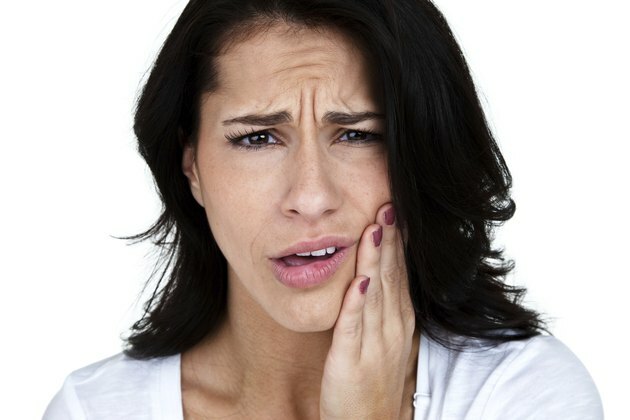 The cause of the tingling and burning in the mouth after is eating is due to high levels of histamine. Histamine is the hormone that causes most allergic reaction symptoms. When an individual with a food allergy eats a food he is allergic to, the body produces antibodies to fight it off. As antibodies fill the blood, mast cells respond by producing high levels of histamine, according to the American Academy of Allergy, Asthma and Immunology. The histamine released can lead to mouth burning and a tingling sensation. Aside from tingling and burning in the mouth, other symptoms will develop if the condition is related to a food allergy. Common symptoms include gastrointestinal issues, asthma and sinus complications. Gastrointestinal issues include nausea, gas, diarrhea, vomiting and an upset stomach. Asthmatic reactions include shortness of breathe, coughing and wheezing. Nasal complications include nasal congestion, sinus pressure pain, a runny nose and the inability to breathe through the nose. Avoiding foods that cause tingling or burning in the mouth is the most effective treatment, according to the American Academy of Allergy, Asthma and Immunology. In minor cases, the use of an antihistamine may alleviate some food allergy symptoms, otherwise the patient will have to wait out the reaction until it subsides. Tingling lips are an early sign of anaphylactic shock. If the lips, tongue or throat begin to swell, call 911 for immediate medical attention.